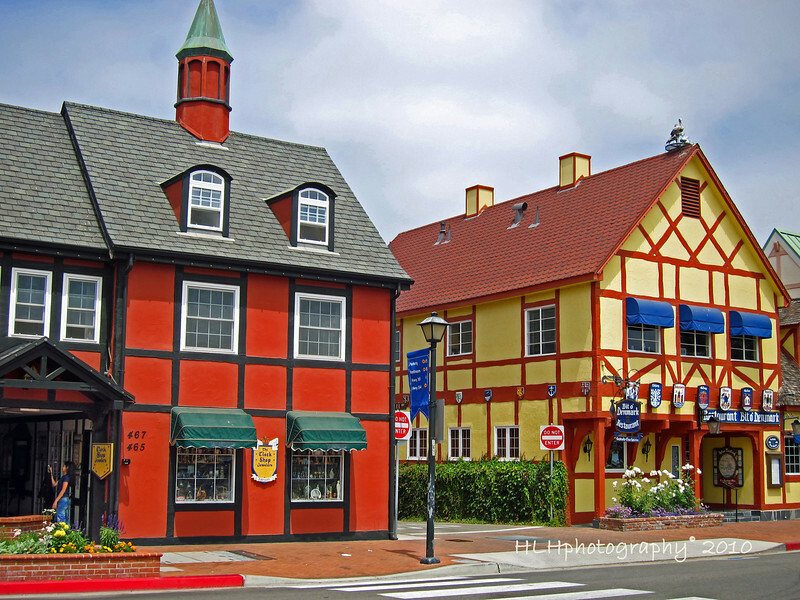 Solvang is located approximately 45 minutes north of Santa Barbara, in Santa Ynez Valley, a popular wine region in the heart of Santa Barbara's Wine Country, just 2.5 hours north of Los Angeles and less than 300 miles south of San Francisco. The charming Danish Village looks and feels so authentic, it's hard to believe you're in California. Great bright colours and geometric shapes! Wonderful bright colours & such fascinating designs... excellent capture, Howard! How colorful! I'd like to visit here. Great capture Howard! Looks like an interesting & colorful place to spend some time. Very well captured. Solvang is such a picturesque place. I haven't stopped by Solvang since I've been photographing seriously. Looks like I have to have another look, camera in hand. Nice colorful shot, showing the neat architecture.